“For sheer loveliness of timbre, affecting sensitivity, elegance of line and utter ease in florid passagework, de los Angeles was hard to top. By the 1950s she was a mainstay of opera houses around the world and widely admired for her portrayals of leading lyric soprano roles, including Puccini's Mimi and Madama Butterfly, Verdi's Violetta, Massenet's Manon, Bizet's Carmen and Debussy's Mélisande. Though her sound was not enormous, she knew how to project her voice so that it carried effortlessly in the opera house. She even sang lighter Wagner roles with effectiveness and allure, including Elisabeth in TANNHÄUSER, the role of her 1961 Bayreuth Festival debut in Germany, and Eva in DIE MEISTERSINGER. ‘We are a people that sings naturally’, she said in a 1980 interview, adding, ‘When we have a sorrow, it is a wonderful sorrow; when we have a happiness, it is a wonderful happiness, it is a big happiness’." "Born Victória Gómez Cima into a humble Catalan family in Barcelona, she studied at the Barcelona Conservatory, graduating in just three years in 1941 at age 18. That year, she made her operatic debut as Mimì at the Liceu, but then resumed her musical studies. 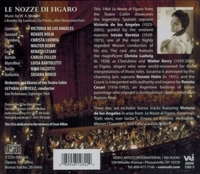 In 1945, she returned to the Liceu to make her professional debut as the Countess in NOZZE DI FIGARO. After winning first prize in the Geneva International Competition in 1947, she sang Salud in Falla's LA VIDA BREVE with the BBC in London in 1948. In 1949 she made her first appearance in the Paris Opéra as Marguerite. The following year, she debuted in Salzburg and Royal Opera House, Covent Garden as Mimi, and the United States with a recital at Carnegie Hall. In March, 1951, she made her Metropolitan Opera debut in New York as Marguerite, singing with the company for ten years. 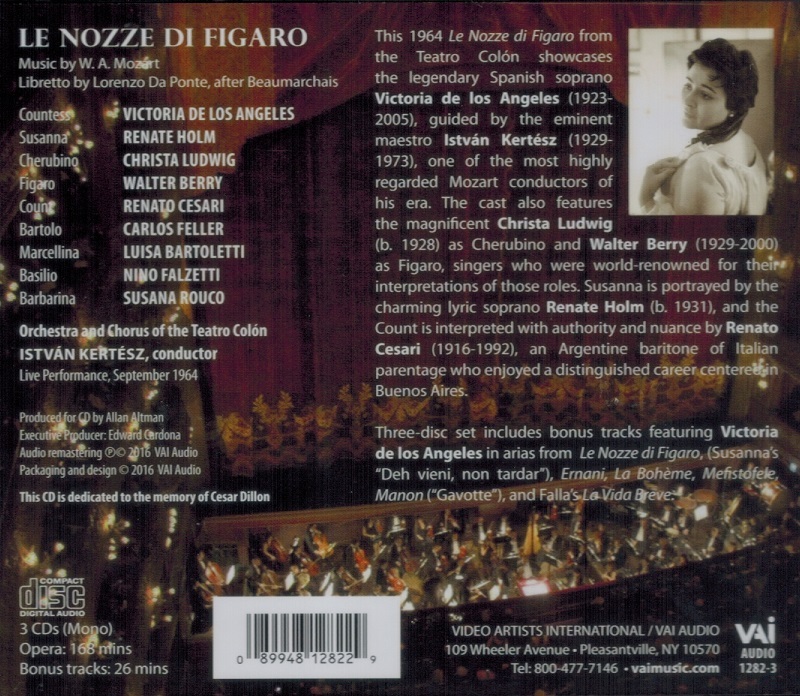 She made noted recordings of LA VIDA BREVE, LA BOHEME, PAGLIACCI, and MADAMA BUTTERFLY. The last three paired her with renowned tenor Jussi Björling. She also sang at La Scala in Milan from 1950 to 1956. In 1957 she sang at the Vienna State Opera. After making her debut at the Bayreuth Festival as Elisabeth in 1961, she devoted herself principally to a concert career. However, for the next twenty years, she continued to make occasional appearances in one of her favourite operatic roles, Carmen. She was among the first Spanish-born operatic singers to record the complete opera in 1958, a recording conducted by Sir Thomas Beecham using the recitatives added by Ernest Guiraud after Bizet's death. Though Carmen lay comfortably in her range, she nevertheless sang major soprano roles, best known of which were Donna Anna, Manon, Nedda, Desdemona, Cio-Cio-San, Mimi, Violetta and Mélisande. Like Montserrat Caballé, she was a true exponent of bel canto singing. 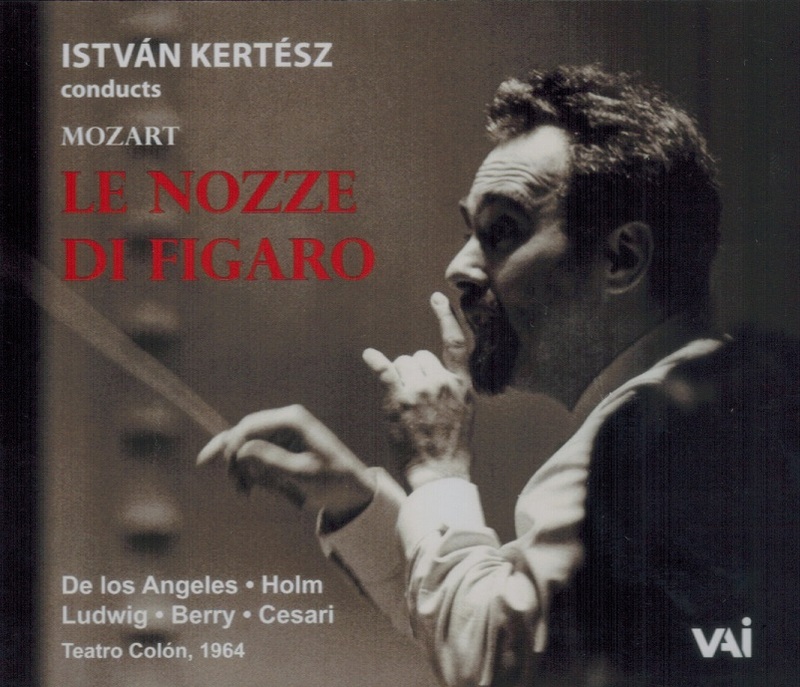 De los Ángeles performed regularly in song recitals with pianists Gerald Moore and Geoffrey Parsons, occasionally appearing with other eminent singers, such as Dame Elisabeth Schwarzkopf and Dietrich Fischer-Dieskau. On January 15 2005, Victoria de los Ángeles died of heart failure in Barcelona at age 81."